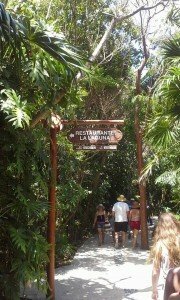 Home » Blog2 » Blog » Xcaret: What is this place and why should you go? What is Xcaret? 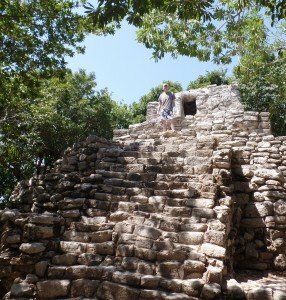 This article reviews what it is like to experience Xcaret. Xcaret is a vast nature park just South of Playa del Carmen in the Rivera Maya area of Mexico. Xcaret is filled with underground rivers (or cenotes), Mayan culture, wildlife, and beautiful Caribbean water. While this place has the layout and feel of an American Theme Park, nature is the star attraction at Xcaret, as this park is in the jungle. 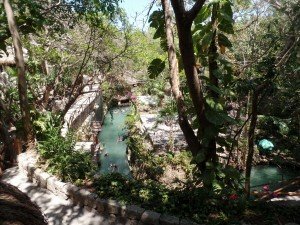 First and foremost, you go to Xcaret to swim in the secret river: an underground river that is about 900 Meters long with places to exit the river and take a break or warm up. Second, after a fun day exploring nature, you go to the big Xcaret Mexico Espectacular cultural show. These are just two of the 40 plus attractions. There is a large entrance facility at the front with towel pickup, massive gift ship, locker room/bathrooms, and restaurants. In the gift shop, they are people who follow you around and carry your selections in baskets for you. I’m thinking they get some type of commission but they are not pushy. The property is broken up into six different routes or sections: each section has different nature/water activities, entertainment, restrooms, restaurants, and concessions. Xcaret is hot and there a plenty of places to purchase water, drinks, and beer. Please stay hydrated and bring biodegradable sunscreen. If you purchase the Plus package, you get a snorkel and fins along with a special waterproof “bag” to store your wallet and phone; a locker to store your dry clothes and valuables; and you’re also entitled to a towel (which I finally figured out where to pick up when we were ready to leave the park). The Plus package also includes lunch. Priced at $29pp, the restaurants (mostly buffets) are NOT cheap. As I mentioned earlier, Xcaret features the “Xcaret México Espectacular” at the end of the day. While the show is included in your admission price, dinner is not. There are different dinner options for the show and there are people doing the upsell for dinner during lunch at the various restaurants. Consider the upgraded seating and dinner like upsells for a Hawaiian Luau. We chose the Laguna International buffet and both the food and service were fabulous. It was a memorable experience enjoying food deep in the jungle with live music playing. I found these agave oat cookies which were just amazing. This was a far higher caliber than American “Theme park” type food. The buffet was vast with great selections. You also get one free beer with your lunch to help defray the $29 cost. Again, note that dinner is not included if you stay for the night show. There are different options for dining during the show. 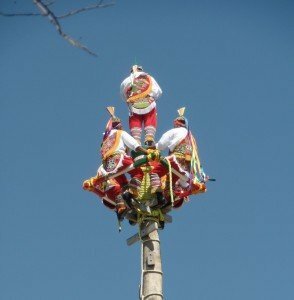 Don’t forget to visit the the ritual ceremony of the “Voladores” (flyers). 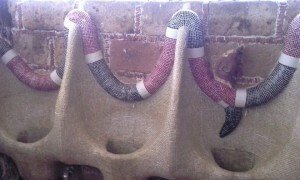 It is considered Intangible Cultural Heritage of Humanity by UNESCO, which gives it a great cultural value. 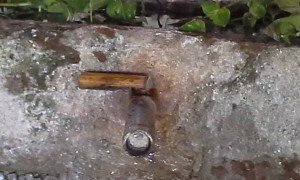 While there are modern bathrooms in the main entrance facilities, as you get deeper into the Park, there are just cold water sinks and pull-chain cold water showers near the Xcaret Plus changing facilities. I had a chance to visit the bathroom in the Mayan Village and had to take a picture of the “jungle” facilities. The snake is not real but worthy of a picture. Wash your hands when you’re finished please. Bottom line: Do you like water activities? Like Nature? Then go visit Xcaret. Xcaret is nicely complimented by two other parks, Xel-Ha and Xplor. Xel-Ha is all about snorkeling. 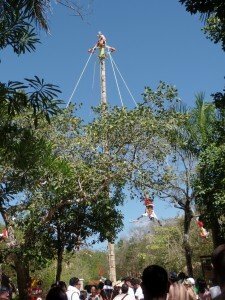 Xplor is all about zip-lines, ATVs, and underground rafting. Want to visit Xcaret or these other adventure parks? Ready to plan your complete Riviera Maya vacation?